This Mills Estates home features three bedrooms, two baths. Remodeled eat-in-kitchen adjacent to dining room. Living room with fireplace opens to large level yard that is great for entertaining and relaxation. Hardwood flooring and some carpet throughout. Two car garage parking with two car parking pad. 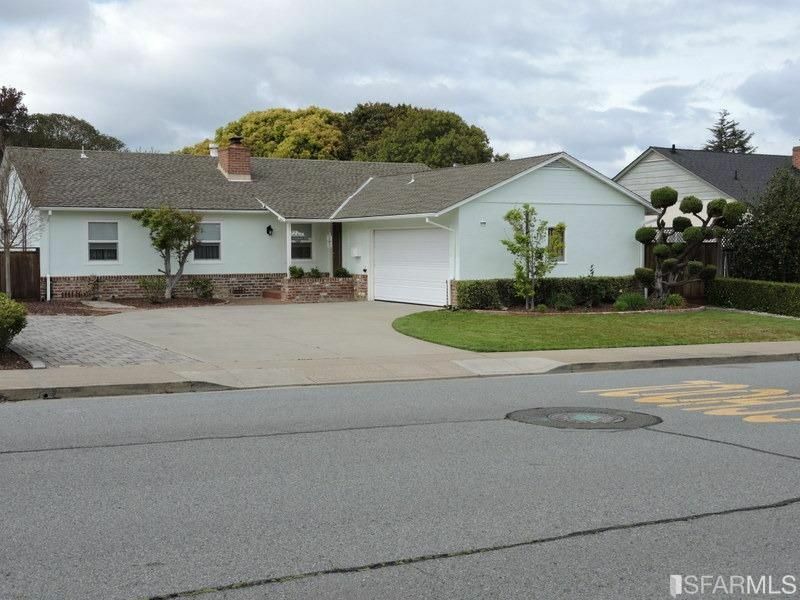 Walking distance to desirable Millbrae Schools: Millbrae High School, Taylor Middle School and Spring Valley Elementary School. Wal to Downtown Millbrae, Friendship Plaza, Burlingame Plaza and Spur Trail. Close El Camino SamTrans Bus Lines, BART, Caltrain, SFO and freeways 280 and 101.